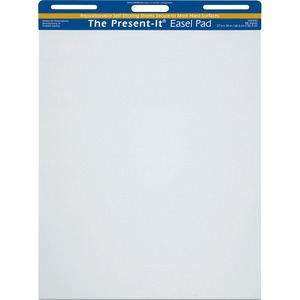 The Present-It Easel Pad self-adhesive sheets are perfect for presentations, brainstorming or problem-solving exercises. Sheets are bleed-through resistant, pull off easily to be repositioned, and stick securely to most hard surfaces. Remove or reposition without leaving residue behind. 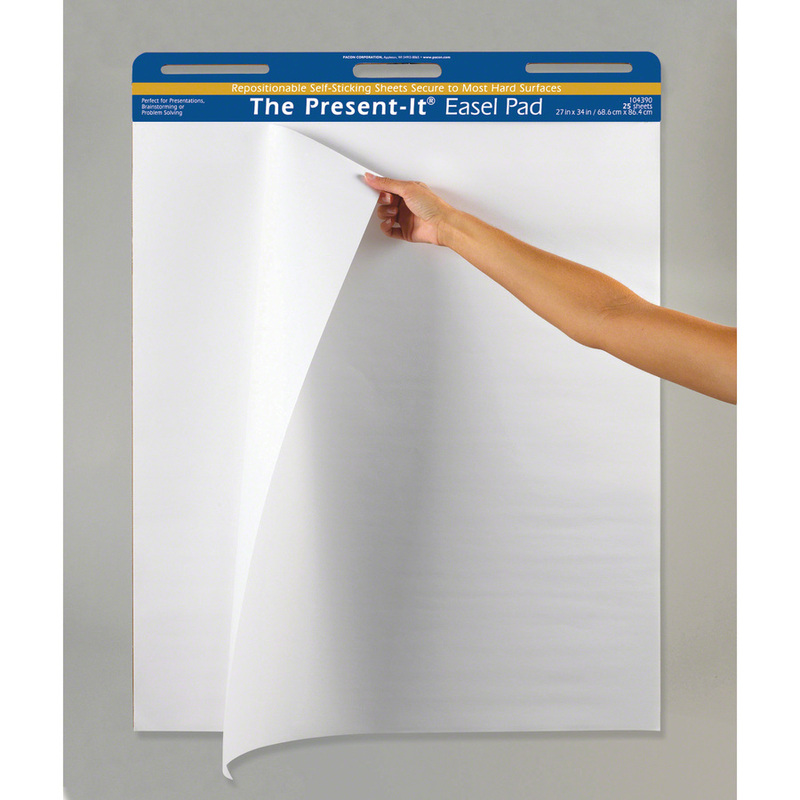 Easel pad includes a convenient carrying handle for easy transportation.